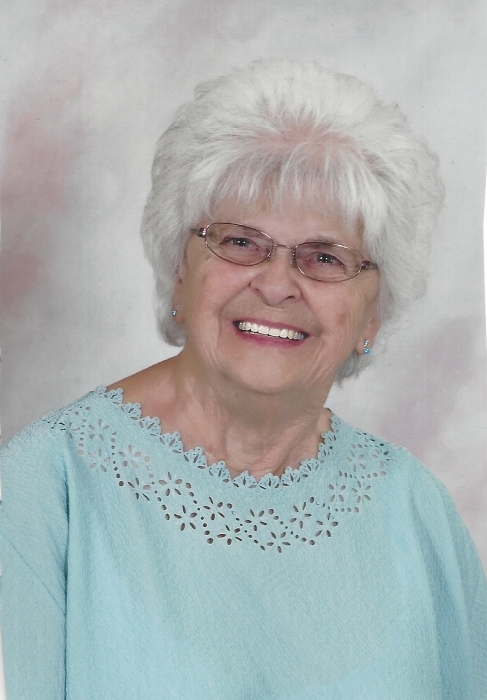 Rose Marie Nellenbach , 90, of North Branch, passed away July 31,2018 at McLaren Hospital in Flint. Rose was born April 11, 1928 at the Dhooghe Farm to Baldwin Adolph and Anna Marie (Tallieu) Dhooghe. She grew up in the North Branch area. Rose graduated from North Branch High School in 1945. Rose married James Michael Nellenbach on July 8,1950, in North Branch. She raised a family and retired from Suncrest in Lapeer County. She loved knitting, crocheting, needlepoint and gardening. Everyone loved her cooking, especially chocolate baked goodies and banana-nut bread. She worked hard on the farm doing many chores. Most of all she enjoyed spending time with her family. Rose is survived by her children; Noreen (Greg) Miller, Theresa (Don) Hagemeister, Daniel (Jackie) Nellenbach, David (Kay) Nellenbach and Dale(Connie) Nellenbach. 11 Grandchildren and 13 Great-grandchildren. Rose was preceded in death by her parents, husband James, grandson James, 2 brothers Karl and Charles Dhooghe. Sister Margaret Snoblin. Family will be present for visitation on Friday August 3, 2018 from 1P.M.-8P.M. Rosary will be on Friday at 2P.M. at Blackburn Chapel- Martin Funeral Home in North Branch. Also on Saturday August 4, 2018 visitation will be at St. Mary’s from 10A.M.- 11A.M. The Funeral Mass will take place Saturday at St. Mary’s. at 11A.M. with Father Sama Muma officiating. Rose will be laid to rest next to her husband, James at St Mary’s Cemetery.